If there’s one style of preamp that professional engineers would unanimously agree has defined the tone of pop/rock records for decades, it would most definitely be the venerable '73-style of mic pre. '73-style preamps have been used widely in recording and live applications for many years and are still considered to be the “Holy Grail” of preamp choices today. The Warm Audio “WA73 Family” consists of single and dual channel '73-style preamps (with & w/out EQ), that each pay careful homage to British audio history. After years of R&D, careful reverse-engineering, and countless hours of auditioning, the WA73 is born. The WA73 is a “Desert Island” boutique preamp, but it can also be classified as a studio and live work-horse. Classic '73-style preamps are known for being versatile tools that work with all kinds of microphones from Condenser, to Dynamic, to Ribbon. 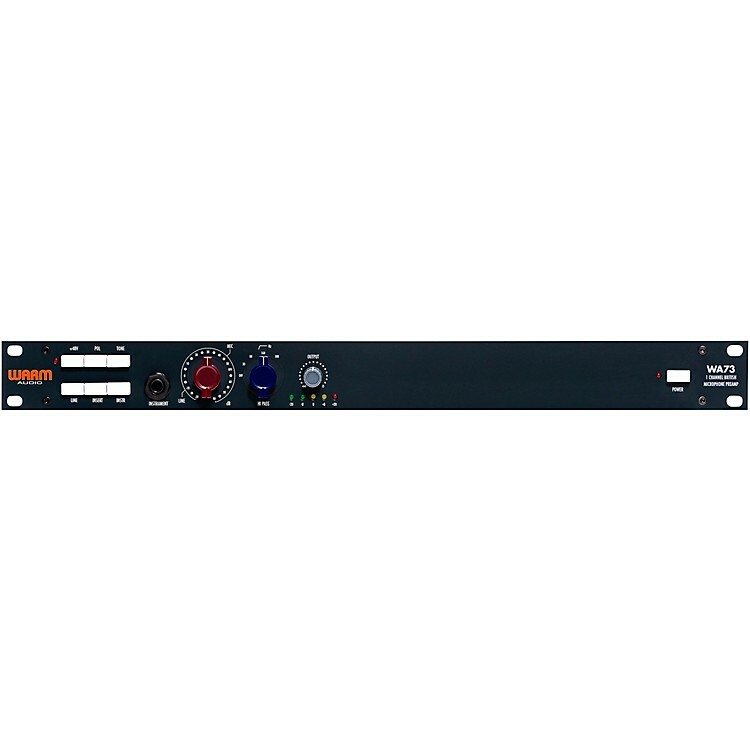 The WA73 equally shines on all types of microphones and sources including; vocals, acoustic/electric guitars, bass, drums, percussion, orchestras, keyboards, and even as a tone shaping tool to run partial or complete mixes through. With 80dB of gain and a fully discrete Carnhill Transformer balanced signal path, there’s no recording, mixing or engineering task that the WA73 can’t handle. Get the sound of a classic preamp—call or click to order.